There’s a saying that “all roads lead to Rome,” and while it’s not true on a literal basis, the idea that multiple starting points can lead to the same destination does apply in various regards. This certainly is easy enough to see when it comes to travel—for example, patients come to our Surprise, AZ office by taking different roads from Phoenix, Glendale, or Scottsdale—but it applies in more abstract or metaphorical ways as well. 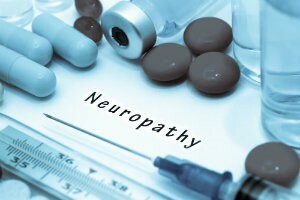 That saying is evident in the fact multiple causes can potentially contribute to the same medical condition, and such is the case with peripheral neuropathy. Peripheral neuropathy is a problem wherein the nerves in your extremities do not function correctly. This can lead to painful burning, tingling, and even sharp stabbing sensations in your lower limbs. In some cases, the nerve damage causes numbness (which can, in turn, then leads to a host of medical issues). Autoimmune diseases and inherited conditions – Certain diseases attack or impact your nerves, including lupus, Sjorgren’s syndrome, rheumatoid arthritis, and Guillain-Barre syndrome, among others. Infections – Some viral and bacterial infections can affect your nerves, including Lyme disease, leprosy, hepatitis C, HIV, and diphtheria. Vitamin deficiencies – Your body needs particular vitamins for healthy nerves, so being deficient in vitamin B (especially B-1, B-6, and B-12), vitamin D, vitamin E, and niacin over time can damage your nervous tissue. Trauma, pressure, and tumors – Tumors that compress nerves and injuries that pinch or even sever nerve tissue can cause intense pain and significant numbness. Medications – Certain medications damage nerves as an unfortunate side effect. Chemotherapy for treating cancer has a high risk for this. Poisons and alcoholism – Being exposed to toxins, or living with alcoholism for many years, can take a real toll on your nerve functions. Other disorders – Kidney disease, bone marrow disorders, liver disease, and hypothyroidism can all contribute to peripheral neuropathy. Ultimately, the best way to treat peripheral neuropathy is to address the underlying cause. That’s why getting an accurate diagnosis of your condition is so important. Let our team at Fixing Feet Institute help you determine the source of your nerve issues and address it before it gets any worse. Contact our office through our website, or call us at (623) 584-5556.